July 5, 2018 July 5, 2018 Abby H.
Now that we’ve settled into July, it’s time to post about some of the new printable coupons! Last month I posted that the coupons weren’t that great. This month, they are slowly but surely getting better to ramp up for back to school. Here is your monthly reminder! 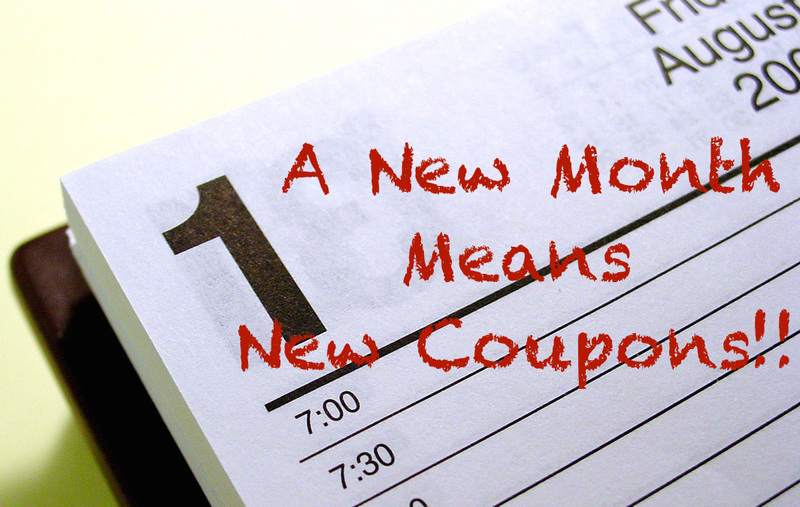 A new month means new printable and electronic coupons! One of my favorite website is the Sunday Coupon Review. It helps me plot out scenarios in advance and I can email friends to ask for coupons in advance. Remember if clipping coupons isn’t your thing, but saving money is, check out my list of Smartphone apps that can save you the big bucks! New offers are added on the Smartphone Savings Apps all the time! This coupon is great if you have a Dollar Tree location near you. These little boxes are $1.00 each and contain 8-10 packets. With this coupon, it’s like buy three, get one free! If you use this coupon, check your Target app to see if there is a cartwheel/savings deal in addition to this coupon- The best way to save money is to stack deals. Perfect for Back To School Shopping, especially if your school is peanut-free or you have a peanut allergy in your home. These cookies are so delicious. You can print two coupons per computer, every thirty days. It’s a great way to save a little bit of money if you already purchase milk and other dairy products. What coupons or deals are you excited about?